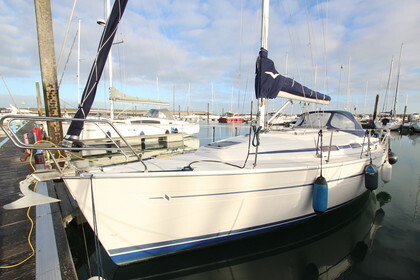 PRICE DROP: Charax is a Bavaria 32 from 2003. It has a long keel (1,85m) which improves the sailing conditions. It has new sails from 2015 (main and Genua). It also has a Spi. Bavaria is known for their spacious interiors and this 32 feels a lot like a 35 footer. It has 2 cabines, one bathroom, a open galley, a good cardtable and spacious main area. The plotter and autopilot come in handy when sailing with one or two people. You can fully navigate from behind the weel. It's located in Kamperland NL. Feel free to contact me to visit the boat.